This pure sugar syrup made of natural cocoa aromas is perfect to bring some taste and fun in your traditional hot drink. Pour syrup, espresso then top up with steam milk. 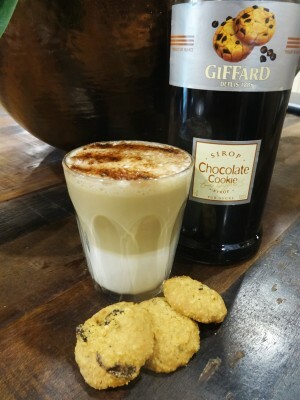 Cover with milk froth then garnish with a crushed cookie.